Southampton manager Mark Hughes claims that Chelsea remain as a contender for the Premier League title and will always remain in the position. 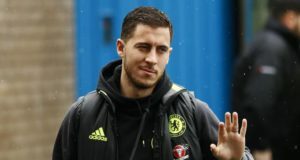 Ahead of the new campaign, Chelsea were not seen as a realistic contenders considering the strength of opposition like Manchester City and Liverpool, clubs which had spent a huge amount of money in order to strengthen the squads. 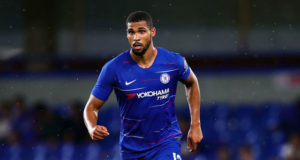 The blues, meanwhile, had a disastrous summer in which the departure of Antonio Conte was delayed and this meant that new manager Maurizio Sarri did not have a lot of time to bring in new players. However, Chelsea have made a stunning start to life under Maurizio Sarri after managing to claim four wins in six matches and the club can be backed for more success this season using betdaq promo code. They have failed to beat West Ham and Liverpool, but there is little argument in Chelsea’s brilliant start to the season. Crucially, the club has been playing an extremely attractive brand of football that has already endeared the club to a lot of fans. The blues will be taking on Southampton during the weekend. This is a match that sees Hughes take on his former club, where he played as a midfielder for several years. “I think Chelsea will always be a contender. 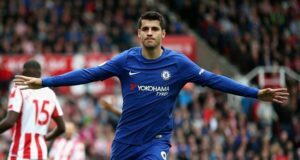 Even though Roman Abramovich has gone through numerous managers, Chelsea have always relied on the excellent quality of players at their disposal. Even when the average duration of a manager at Chelsea is less than two years, the club has been able to achieve a lot of success. Sarri has brought a new direction to the club and it appears that the players are enjoying the same without second thoughts. The players are playing with a smile on their faces but it will be interesting to see the way Sarri manages the club when things are not going well. Chelsea are going for the first win in three league matches when they head to the St Mary’s Stadium.